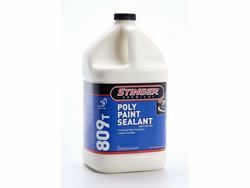 Stinger's Paint Sealant is formulated with hi-tech polymers, resins to produce a durable high gloss barrier that protects your vehicle from the elements for weeks. Gives your vehicle superior UV protection with a hi-gloss finish. Available in quarts and gallon containers.